Beginning Sailing (ASA 101) taught you how to use the wind to move the boat. You learned rules of the road and the basic safety rules that allowed you to begin enjoying your time on the water. 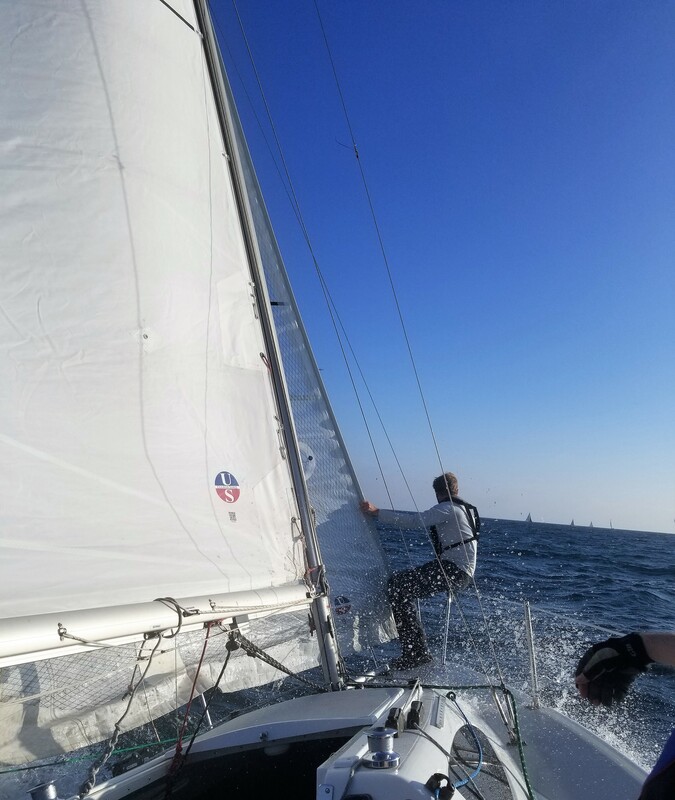 Intermediate Sailing (ASA 103) moves you onto a larger boat with the amenities necessary to enable you to go further and stay on the boat longer, including overnight. In some ways, the transition from Beginning to Intermediate Sailing is the biggest step you will take in this sport. Don’t worry. We’ve got you covered. Your study of terms and technology continues in Intermediate Sailing. Now you need to understand the parts of the boat you rely on for food, water and shelter, in addition to safety. You’ll learn about weather and navigation and how to apply that knowledge to trip planning. Beginning Sailing was a daytime course. Intermediate Sailing students begin to learn about operating at night. Prevention and responding to onboard emergencies also become important as you learn to venture further on a sailboat. 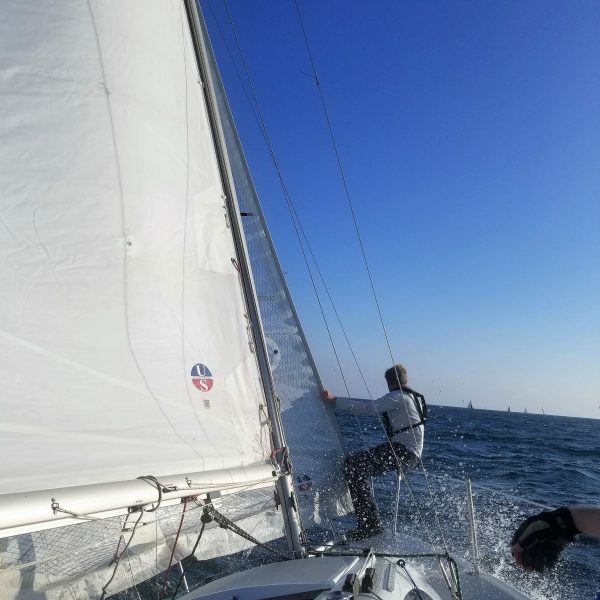 The ultimate goal of ASA 103 is learning how to live on a sailboat. Most likely, you will begin by staying on the boat for a weekend or a week. You’ll soon find the amount of time you spend sailing and the places you go are only limited if you choose to limit them. ASA 103 is truly a gateway to a whole new world.